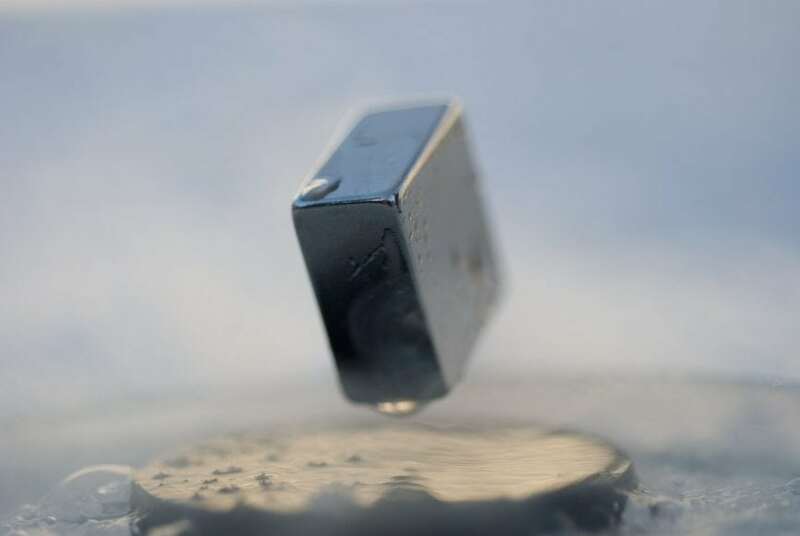 It is well-known that external magnetic field cannot penetrate the superconductor when it is cooled below a critical temperature thanks to the famous Meissner effect. However, the magnetic field can penetrate into the surface of a superconductor with a depth called London penetration depth. In the study of superconductivity, one often detects the London penetration depth of samples to extract low-temperature information of paired electron . Many experimental efforts in this direction have been for high-Tc cuprate, iron-based, organic and heavy fermion superconductors [2–5]. For example, the temperature-linear behavior is an essential clue for the d-wave electron pairing in high-Tc cuprate . For heavy fermion compounds , one usually observes huge effective mass in thermodynamic and transport experiments. When cooling these samples into superconducting phases, their London penetration depth shows power-law behavior for temperature dependence, and one important example is the quasi-two-dimensional heavy fermion superconductor CeCoIn5. It has remarkably high superconducting critical temperature Tc=2.3 K while most of the superconductors in heavy fermion compounds have a much lower critical Tc ranging 0.06-1 K. By combining many thermodynamic and transport measurements, CeCoIn5 is now established to be a nodal-dx2-y2-wave superconductor, which has a remarkable similarity to the well-known high-Tc cuprates. Another aspect of heavy fermion compounds is that their electronic phases can be easily tuned by relatively small magnetic field, pressure and element doping/replacement, thus one witnesses heavy metal, narrow band-gap insulator, ferromagnet, antiferromagnet, superconductor and even topological insulator in those f-electron dominated systems . Usually, by element doping, the transition between these phases is common and sometimes unusual physics may appear when suitable heavy fermion compounds are doped. Recently, when researchers used Yb to replace Ce in CeCoIn5, (namely Ce1-xYbxCoIn5) the power-law behavior of undoped CeCoIn5 is gradually replaced with a fully-gapped exponential behavior for increasing Yb-doping . If one takes this as a true observation, this surprising experimental finding can be explained as a change of pairing structure, which means the wave-function of superconducting electrons are changed from d-wave to s-wave-like orbital when doping is larger than a certain level. Generally speaking, the pairing structure is a quite robust feature of superconductors, which is largely insensitive with impurity, disorder, and interaction. Therefore, the change of the pairing structure should imply some novel physics beyond the classic Bardeen-Cooper-Schrieffer (BCS) superconducting theory. 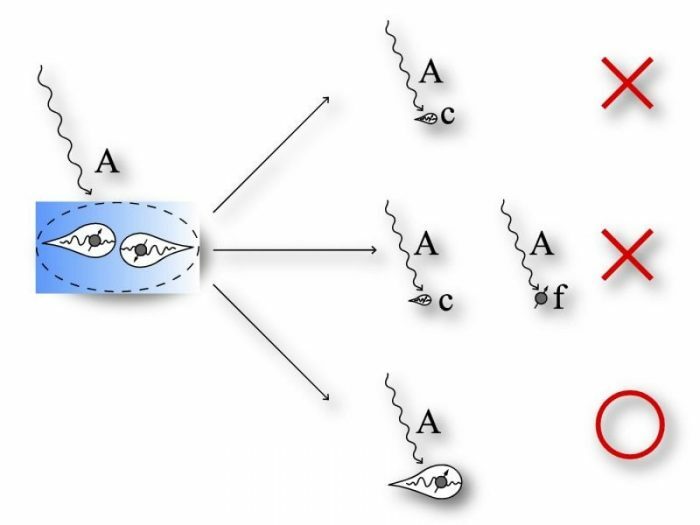 Motivated by the observation in the mentioned materials, an exotic electron pairing scenario involving a composite molecular superfluid and Lifshitz transition of Fermi surface has been proposed . Whatever a conventional or exotic pairing scenario is perceived, the first thing is to understand the superfluid response (London penetration depth) in those heavy fermion superconductors. This task has been performed in our recent work , where we find that the heavy electron in those superconductors is responsible for the observed London penetration depth. This fact emphasizes that the external electromagnetic field (A) is directly coupled to the heavy electron rather than the bare conduction c-electron or local f-electron. We have developed a concise theory to understand undoped CeCoIn5 and Yb doped Ce1-xYbxCoIn5. The consistency between our theoretical formalism and experimental findings suggests the assumption of heavy quasiparticle responsible for electromagnetic properties in heavy fermion compounds is valid. Furthermore, we believe more heavy fermion superconductors can be understood by using our theory and it may provide a unified point of view on superconductivity in these complicated but fruitful materials. These findings are described in the article entitled Superfluid response in heavy fermion superconductors, recently published in the journal Frontiers of Physics. This work was conducted by Yin Zhong, Lan Zhang, Can Shao and Hong-Gang Luo from Lanzhou University. M. Tinkham, Introduction to Superconductivity, New York: McGraw-Hill, 1996. W. N. Hardy, D. A. Bonn, D. C. Morgan, R. Liang, and K. Zhang, Precision measurements of the temperature dependence of l in YBa2Cu3O6:95: Strong evidence for nodes in the gap function, Phys. Rev. Lett. 70(25), 3999 (1993). R. Prozorov and V. G. Kogan, London penetration depth in iron-based superconductors, Rep. Prog. Phys. 74(12), 124505 (2011). E. E. M. Chia, D. J. Van Harlingen, M. B. Salamon, B. D. Yanoff, I. Bonalde, and J. L. Sarrao, Nonlocality and strong coupling in the heavy fermion superconductor CeCoIn5: A penetration depth study, Phys. Rev. B 67(1), 014527 (2003). H. Kim, M. A. Tanatar, R. Flint, C. Petrovic, R. Hu, B. D. White, I. K. Lum, M. B. Maple, and R. Prozorov, Nodal to nodeless superconducting energy-gap structure change concomitant with Fermi-surface reconstruction in the heavy-fermion compound CeCoIn5, Phys. Rev. Lett. 114(2), 027003 (2015). P. Coleman, Introduction to Many Body Physics, Cambridge: Cambridge University Press, 2015. O. Erten, R. Flint, and P. Coleman, Molecular pairing and fully gapped superconductivity in Yb-doped CeCoIn5, Phys. Rev. Lett. 114, 027002 (2015). Yin Zhong, Lan Zhang, Can Shao and Hong-Gang Luo, Superfluid response in heavy fermion superconductors, Front. Phys. 12, 127101 (2017). Hong-Gang Luo is a professor at Lanzhou University School of Physical Science and Technology. His primary research interests include quantum mechanics, condensed matter theory, and superconductivity.